The company was set up in 1959 and identified a niche in the market for stylish shoes with comfort built in. The shoes are made here in the UK in their Lancashire factory. Every single pair of shoes are hand polished before they are meticulously wrapped in tissue and then placed in their box. Sounds great, right? 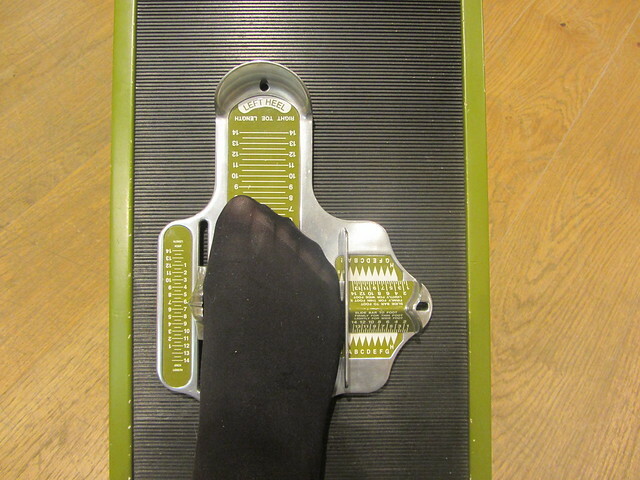 I had my feet measured by Emma and found out that I needed a E fitting because my feet are a little wide. Hotter shoes have a standard D/E fitting but also offer EE-EEE fitting in selected styles and colours for those who need a little extra room. Also my one foot is a 7.5 and the other is an 8 which I never knew before getting measured. 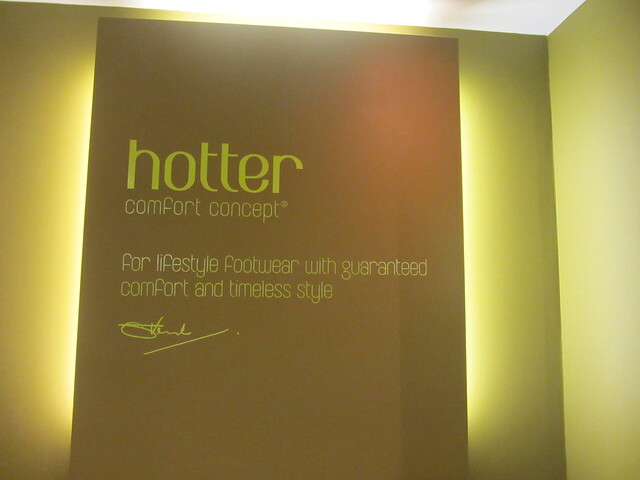 Hotter Shoes cater for all tastes which I wasn't really aware of before popping into the store. 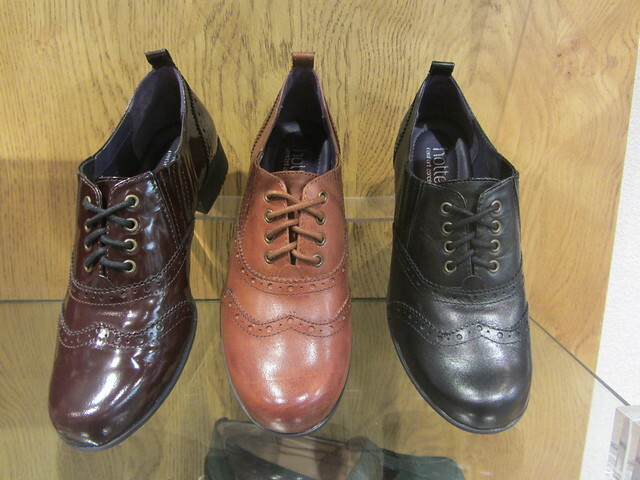 I know they made wide fitting shoes but they have a selection of stylish brogues, loafers and pumps which are all great for work and walking boots in different fittings. The perfect shop to head to for comfortable shoes. 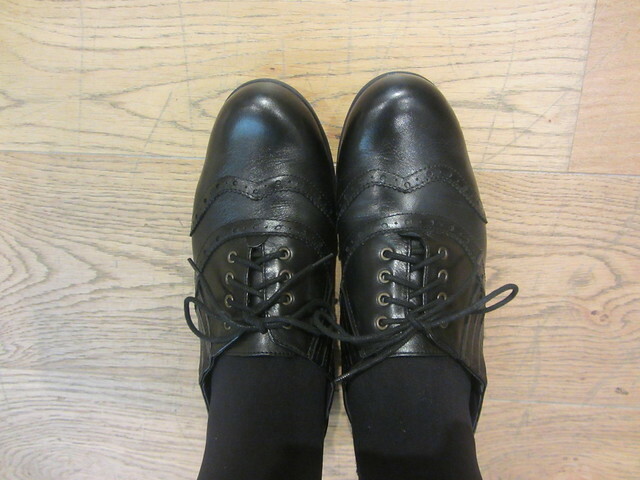 I took home a pair of smart brogues (after they were sprayed by protector). My details were logged which means I can go back and get replacement laces and insoles if needed which would prolong the life of the shoes. The shoes are light, comfortable and I hope you agree, pretty cute.These shoes haven't needed wearing in at all and the leather is so soft. My wide feet mean that I normally get a lot pain when breaking in shoes but it was a pleasant surprise not to experience this with the Somerley brogues. The very lovely Simon and Emma were absolutely wonderful and gave very friendly service in store. They made me feel very welcome and were knowledgeable about the products. If you want to visit Hotter shoes in Cardiff they are located at 17 Cathedral Walk in the St David's Centre.